Our services are designed such that the players realise their full potential and achieve excellence in the sport of tennis. We believe that if given the right inputs at the right time in the right manner, a sincere tennis aspirant has every chance of becoming a champion. Tennis â€˜coachingâ€™ per se covers the technical aspects of the game and to a certain extent the tactical aspects. 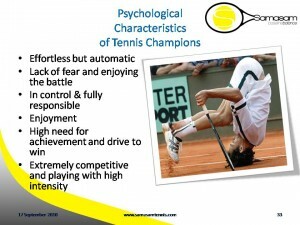 However, very little attention or training is imparted on the mental aspects on tennis. For instance, how to use the time between two points, what to think & do during changeover, how to maintain intensity and confidence in the match, when to alter strategy in the match etc. Thus Samasam (balance) is exactly the need of the hour in tennis. 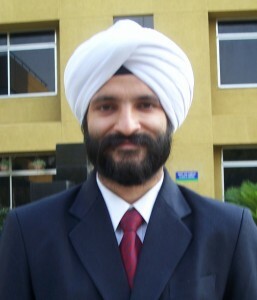 Devinder Singh Bhusari is one of the most successful tennis players from GujaratÂ & India. He is the first player from Gujarat to be ranked on the ATP Circuit with a career high ranking of 1331. Apart from winning various National and State level tournaments, Devinder is one of the few players from India who has made it big on the international platform. He was ranked Asia No. 1 (Under 14) 1999 and has the distinction of being the first ever Indian tennis player to be invited by the International Tennis Federation (ITF) to be a part of the World Junior Team to the USA(1999). It is not just the numerous achievements, but also the manner in which he achieved them that make Devinder stand out. Devinder was always referred to by coaches and parents alike as an example for sincerity, dedication and good mannerisms on & off the tennis court. And it is not just Tennis that Devinder excelled in. Devinder has been a star performer in academics too. He was a top ranker for eight consecutive years in school and was a rank holder in Bachelor of Commerce (B.Com) in Gujarat University. 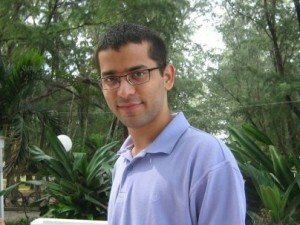 Devinder also has an MBA degree in Human Resource & Marketing from Symbiosis under his belt. Devinder believes that with his knowledge and experience, he can make a difference in the field of by providing specific guidance and assistance to upcoming tennis players, parents and sports enthusiasts alike. 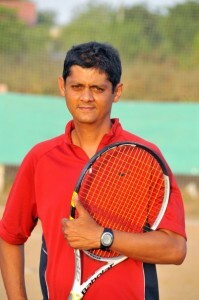 Presently, Devinder gives coaching at Shrimal Bhatt Tennis Academy at the AUDA, NEO & PITA Tennis courts in Ahmedabad. When Devinder first met me to discussÂ his intent of taking up ofÂ a tennis coaching career, it didn't came as a surprise as I feelÂ thatÂ Devinder has all the goods required to be an excellent tennis coach. Knowing Devinder since the first time he ever hit the ball (some 18 yrs ago) and I remember fresh in my memory of aÂ 7 year old well builtÂ Sikh kid with red racquet and pink smile on the face, I feel he has the right qualities of what separatesÂ a good and aÂ very good tennis coach and that is his sincerity, honesty and passion towards the game . Now I can only imagine him sitting on the grand stand court in the players box rightÂ after the player has just made an error and is looking at him for that much required emotionalÂ support.Â And I see Devinder willÂ just acknowledgeÂ that with the pink grinÂ on his face . 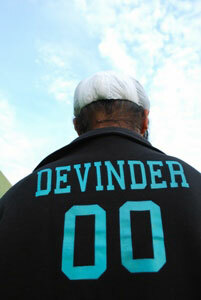 "I learnt tennis from Devinder over a few months early this year (2010)Â in Delhi. Learning the game from him was aÂ lovely experience for me not only in terms of the marked improvement I witnessed in my game but also in terms of the way I looked at life. The combination of his deep yet simple mental techniques and innovative on-the-court drills were very useful in enhancing my game performance. His pleasant demeanor, willingness to give his 100% and innate talent make him a perfect partner for someone looking to be the next tennis star. I wish him all the best for his future endeavors." Hi! I thought to write testimonial for Devinder, but there is so much to write about him that testimonial space wonâ€™t be enough .I know him as my student and now as a grown up young man. 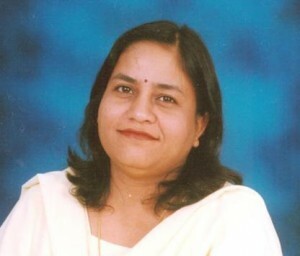 Devinder came to me as student in class 6th. He was very shy child. What I liked in him most was his honesty.Â He is very sincere,hardworking and obedient. A very remarkable thing in him is he is committed to work given to him or work undertaken by him. He is a responsible person. I always thought about him when he was studying with me that he will definitely carve a special place in life. He is a calm &Â serene gentlemen. His dedication for any work or duty assigned is marvellous. There was never a day when Devinder would miss school unless he is out of station for tournament, which reflects his regularity. The noticeable thing I found in him when he grew up that he has become more confident and outgoing now. I just donâ€™t know how to describe this great student of mine. He is a very good human being, always ready to help others. The best part is he never expects anything in return. Even now, he is so obedient that when I tell him any work and within no time he does it. He left long back as my student but still he gives me same regard and love.Â I am proud to say that i taught him once. I can just go on and on writing about Devinder, not just because he has remained my student but as he is wonderful person. He is humble that inspite of achieving so much in life, he never boasts about it. He is an all-rounder in his own right, because not only did he excelled in tennis but he was ranker in studies and participated in different competitions and excelled everywhere. I adore him as my ex- student. God bless you my child. One dayÂ I pray that this world salutes you for your work. The guy who will fight to make his dreams come true... This is the one statement which is very apt in describing my favourite senior from college. Devinder has been a friend, philosopher and guide in the truest sense possible, not just for me but for quite a few juniors in college. He is one person who will go out of his way to help you , support you and counsel you on matters big or small. His passion for tennis was evident from the fact that he was the one to start a tennis court in the college. He got the permission from the college authorities and converted the collegeÂ volleyball court into a makeshfit tennis court.Â We, the juniors, benefitted, a great deal from his action, as well as from the fact thatÂ heÂ was always around to coach us. With regard to tennis coaching, it was a blessing in a way that I gotÂ to play with one of the best players of tennis in the country. His enthusiasm for teaching is something to be seen to be believed. HeÂ is one person whose passionÂ is to see other people, whom he constantly guides, become successful. Hence it came as no surprise that he was the most proud and happy for my achievements during my campus placements. He was always there for me, whether it was preparing for the campus placements interview, the two month project with the company or the examinations. I, and a lot of my friends who took counselling from him on my recommendations,Â have become a big fan of his all round counselling skills. He has the patience to listen to you -at anytime of the day, will help and support you (but onlyÂ in the positive and good things! ), will never be dominating and biased in his opinions. Yet, he remains the most humble and down-to-earth person I have ever met. Last but not the least, I am inspired by his courage to follow his heart, his dream and his passion in life. Wish him all the best to nurture talent in tennis! 09.26.11 Key to Good Movement!